Kookmin University is in northern Seoul. It is a little difficult to get to as there is no immediate access to a subway station. However, it is a pretty good place to find a pick-up game of basketball almost any night of the week. 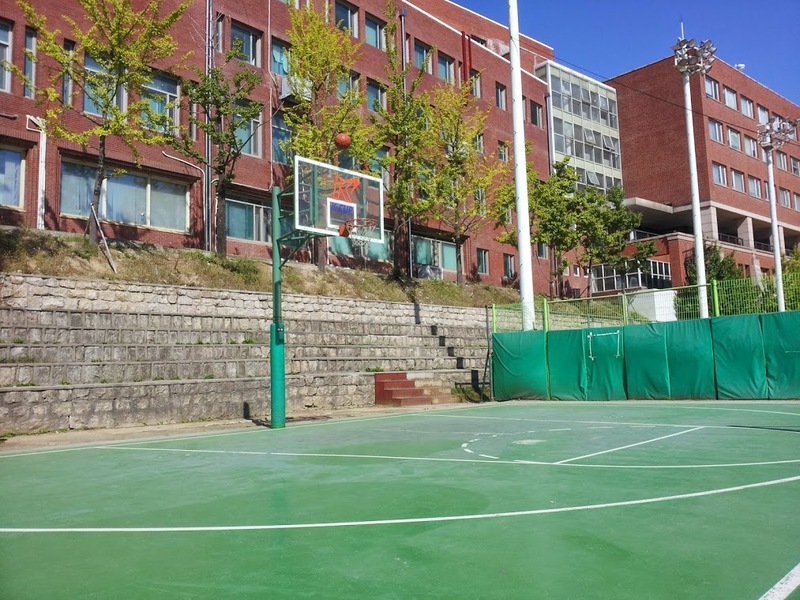 Kookmin University has multiple basketball courts. It has a 'main event' area with one and a half courts. It also has another area with two full courts. The courts can get busy, and the competition is tough at times. Green hard top. It has a little more grip than the courts at Yonsei University and Ttukseom Resort. 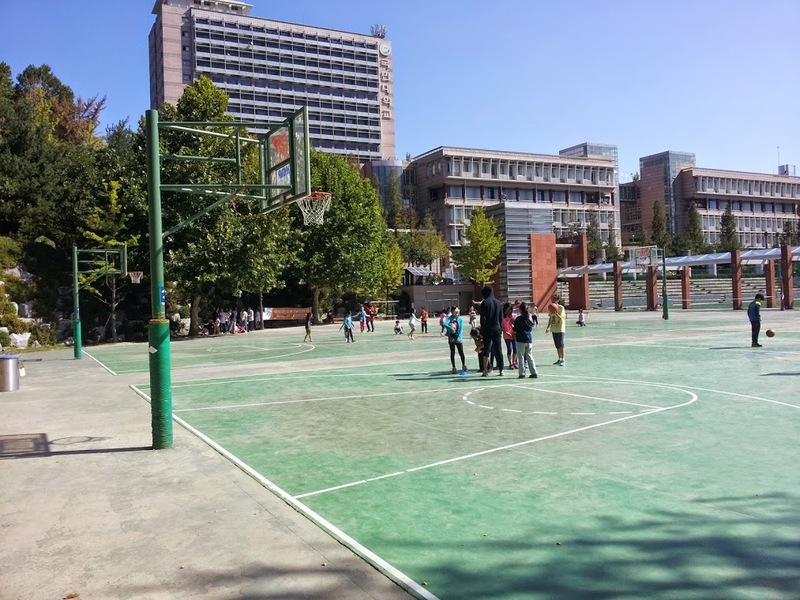 Kookmin University's basketball courts host some great, diverse competition. The main court usually runs full court games. It also has great lighting and padded barriers. Don't be afraid to go hard to rack! Man up! Take advantage of the padding. The 'JV' courts are great for half-court games. The courts stay somewhat busy. There are games most weekdays in the evenings. On weekends, the games tend to start mid-afternoon. The 'JV' courts have lighting, but it is not the greatest. It is adequate. Kookmin University is not subway friendly. It is best accessed by bus, scooter, car, or horseback. During full-court games, the locals like to run quite a bit of zone. Game plan accordingly. Keep the ball moving. 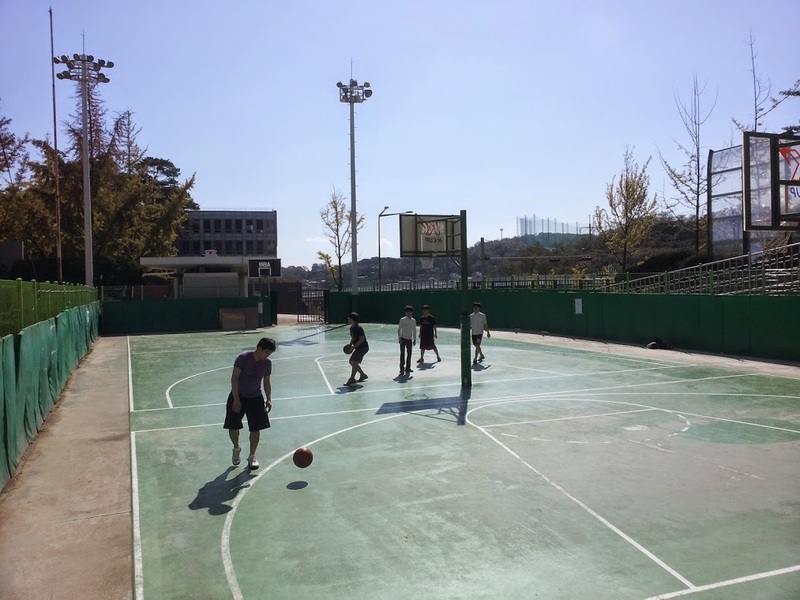 Kookmin University's basketball courts carry a bit of nostalgia with The Seoul Stop crew. In a few ways, they are The Seoul Stop's home court. Treat these courts with the respect they deserve. As mentioned above, the lighting is great. 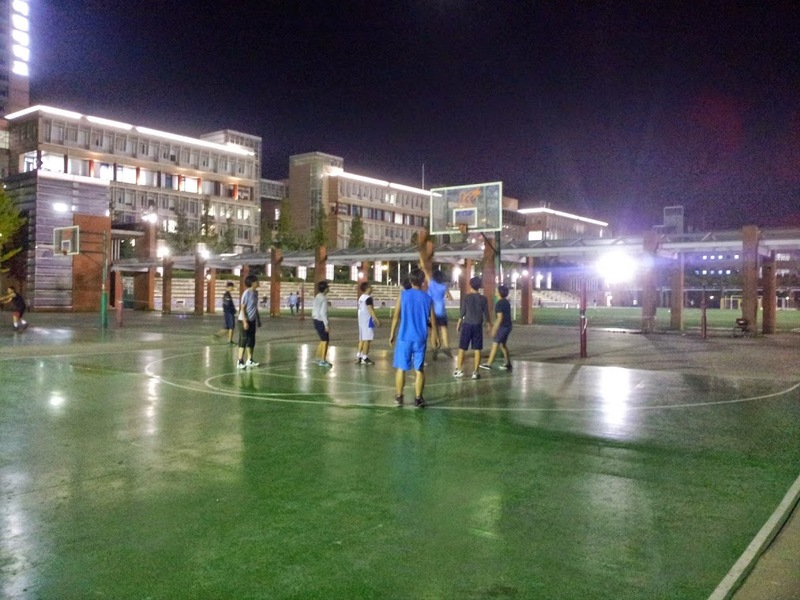 To see more photos of Kookmin University's basketball courts, please visit The Seoul Stop's photo album. Take a bus to Kookmin University Front (Bus Stop ID: 08-107 and 08-110). Buses going to this stop: 110A, 110B, 1020, 1166, 1213, 1711, 7211. 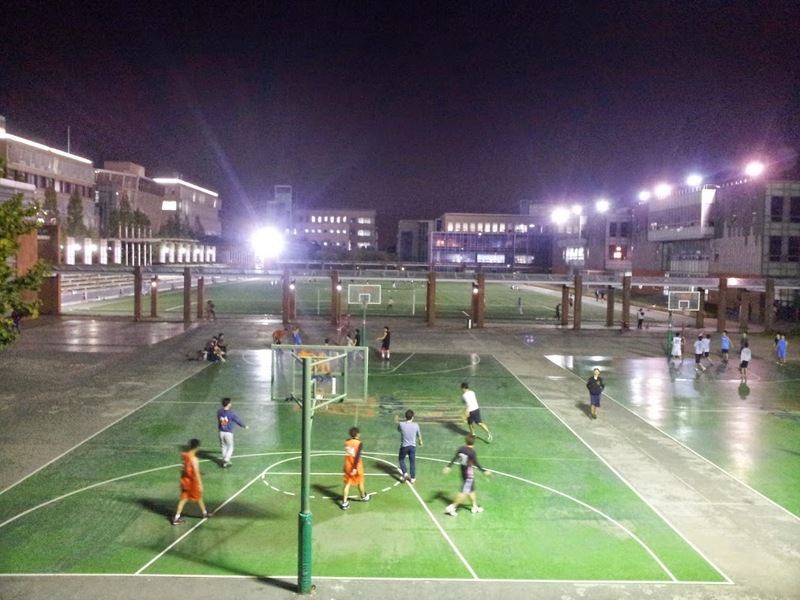 The basketball courts are near the main entrance to the campus.